Latest news and information from the Big Picture Tasmania team. 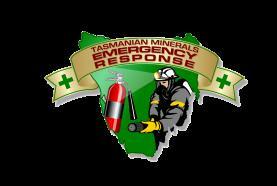 For the first time in its 20 year history, the annual Tasmanian Minerals Emergency Response Competition will be held in Tasmania’s south at Nyrstar, Hobart. Tasmania’s Take a Look at the Big Picture campaign has gone from strength to strength with new major partners MMG Limited and the Elphinstone Group joining supporting partners, Veolia Environmental Services, Nubco, Cromarty Instrument & Electrical Engineering and Lloyds North – uniting under the industry voice. Tasmania’s Big Picture industries believe the current Renewable Energy Target (RET) undermines Tasmania’s competitiveness in energy-intensive industries where our energy resources should make us world leaders. The Tasmanian Minerals and Energy Council, through the Big Picture campaign industries, has welcomed the establishment of the Tasmanian Government’s Energy Working Group. Tasmania’s Big Picture industries have welcomed today’s announcement by the Tasmanian Liberals who, if elected on March 15, will establish an Energy Working Group to assist in developing a comprehensive energy strategy for the State.